""Heels by Miss KG, Leather-look upper, Lace-up closure, Open heel and toe, High heel, Wipe with a soft cloth, 100% Textile Upper, Heel height: 10cm/4". Part of the Kurt Geiger family of luxury footwear, Miss KG shoes look to unique touches and individual twists. With inspiration taken from the front rows at fashion week and flea market rummages, Miss KG adds bold embellished to complete the look. 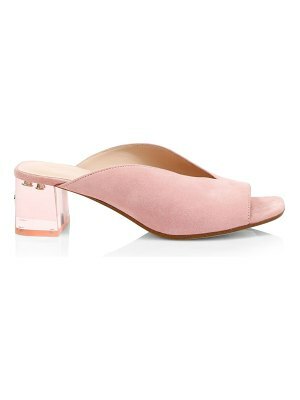 Sleek patent finishes and corsage trims adorn a covetable edit of jewel bright flats, heels and wedges."